With new research indicating that like-for-like sales for November fell 0.4 percent compared to November last year, it’s reasonable to assume that Black Friday hasn’t quite lived up to expectations this year, especially for retail stores in the UK. 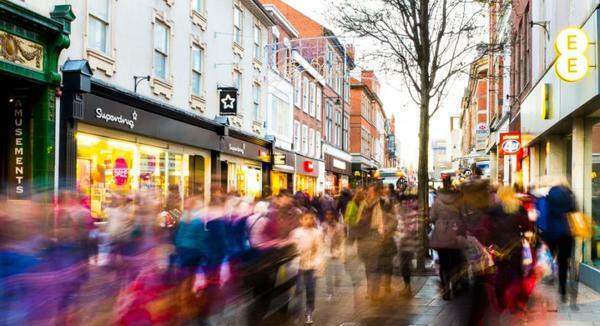 The Retail Sales Monitor, carried out by BRC-KPMG, also highlighted that excluding online sales, only two categories (home accessories and furniture) showed growth in stores driven by Black Friday sales. However, online shoppers spent a whopping £1.1bn on non-food products contributing to an annual rise of 11.8 percent, clearly causing disruption to the typical Christmas shopping trends. From our own perspective, turning on the telly on the morning of Black Friday, which showed only a handful of shoppers queuing outside supermarkets, we had a gut feeling that last year’s antics would not be repeated. Despite higher household disposable income and the bargains that didn’t quite tickle shoppers’ fancy, it seemed Black Friday was an online affair this year. It did however make us think that ASDA was holding a Magic-8 ball all along, considering they bowed out of the event they were credited for bringing to the UK back in 2013. David McCorquodale, Head of Retail at KPMG, said: "November's relatively flat sales figures are a reality check for the retail sector with consumers holding off for a Black Friday bargain pitted against retailers determined to hold onto their hard-earned margins. Despite the hype around Black Friday, there was minimal loosening of the family purse strings compared to last year." So with this year’s build up to Christmas probably one of the hardest to read, how are things going to unfold for retailers? We believe with online retailers making inroads with consumers, high-street retailers will continue to feel the pinch. However, there are always those last minute shoppers that can provide that much needed footfall, especially with last dates for online orders ranging between the 16th and 23rd December. Our research suggests that nearly 40% of shoppers plan to do Christmas shopping in brick and mortar stores. With Worldpay’s data showing that Christmas Eve 2014 was its single busiest day of the year, processing 26m transactions in the UK, could be a sign that the retail stores might just have a Merry Christmas after all. Nevertheless, with promotional planning become increasingly difficult and with a myriad of new shopping days added to the retail calendar, have you thought about how to gain that competitive edge? We at Competitor Monitor help global retailers monitor prices and promotional trends thus outsmarting the market. Our fundamental aim is to help the world’s leading companies to stay ahead of the game so why not get in touch today or alternatively take our tour to find out more!